This dish is perfect as a light meal or as a side, especially for a hot summer day! Recently I’ve been a huge fan of slightly reduced balsamic vinegar as a drizzle to go along with different salads, marinades, or dipping sauces. This marinade takes a simple reduced balsamic vinegar to the next level. The dish tastes best if you marinate the tofu ahead of time, but I’ve also skipped this step and used the marinade as a dipping sauce and it tastes great as well (just in case you’re pressed for time). I made this dish for my husband and I for lunch to go along with my Tomato-Basil-Mozarella-Avocado Stacks w/Balsamic Reduction Sauce and it was a perfect combination. 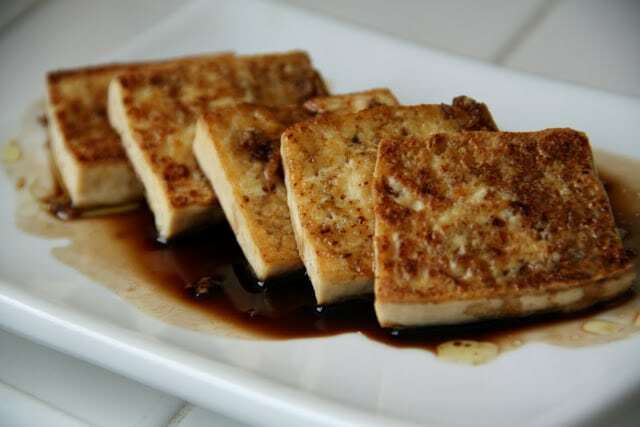 For the recipe, head on over to The Vegan Foodie Website – Sweet Balsamic Marinated Tofu (gluten-free, vegan). The only change I made to the original recipe was to add 1-2 tbsp agave nectar and 3 cloves garlic. 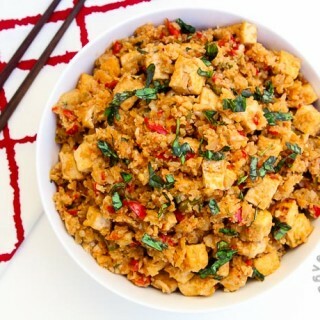 I think I'm gonna try this soon...I can never get my tofu as flavorful as they do in restaurants...and trust me...ive tried everything! Made this today! Everyone loved it, but I think if I made the tofu pieces even smaller they would have drunk up the marinade even more. Still..they were tastier than any I have made before! And I did use the oregano...gave it a little color! Glad you liked the recipe! And good idea about cutting the tofu pieces smaller to absorb the flavor...i'll have to try that as well next time. add 2 - 3 tbsp nutritional yeast. set aside 1 garlic clove, slice thinly and insert into tofu "steaks." marinate for 2 hours. bake in the marinade at 400 F for 20 mins, baste about halfway through. Glad you enjoyed the recipe! And great suggestions...I'll have to try some of them next time I make this dish! Just tried the Balsamic glazed tofu and it was tasty. This was my first attempt at cooking tofu so thanks for the help! Welcome to the world of tofu! It's one of my favorite foods to cook with! Glad you enjoyed the dish...if you're looking for some more easy Tofu recipes or anything in specific let me know and I'll point you to some of my favorites! Thanks for visiting my website! 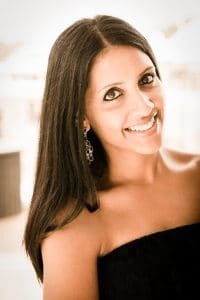 Thank you SO much Anjali! I will do that. 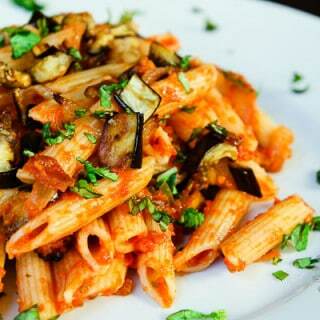 I feel as if I am on a new adventure in preparing more healthful meals especially non meat ones.